Tanaka Farms is famous for our delicious, sweet and juicy strawberries! 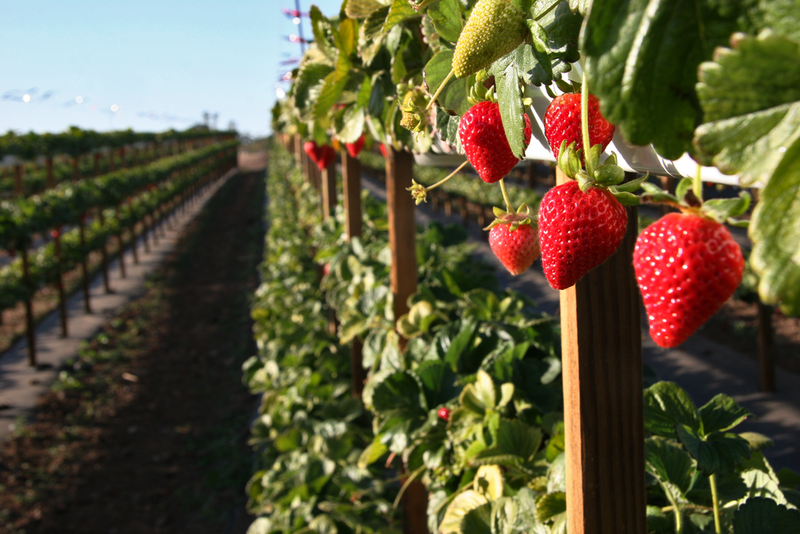 The Strawberry Picking Tour allows guests to pick (and eat!) their own strawberries in the fields right where they grow! Take a one hour long wagon ride around the farm. Learn about the farming methods and history of our farm from your friendly tour guide. You will see how fruits and vegetables grow! Throughout the tour, you will sample several seasonal fruits and vegetables. The last stop on this tour is in the strawberry patch where you can pick and eat strawberries! Everyone will take home a one pound basket of strawberries! Entry Package: $20 (Save $2!) (2 years and under are free) Includes the tour, admission to the farm, visiting with our rescue flock of chickens, and play area.